The Kevin Kitchnefsky Foundation for Spinal Cord Research was incorporated in January of 2000. To date, we are proud to have raised over $500,000. Since incorporating the Foundation, we have continued to refine and expand the structure and activities of the organization, adding events and outreach initiatives. The Foundation’s primary goal is to raise much-needed funds to support the scientists who are doing the research that will, in time, lead to better treatments and, hopefully, a cure. We also use a portion of the monies raised to make donations to local residents who are living with a spinal cord injury. There is so much to be done, and the more friends we have pitching in, the more we can accomplish! With every new outreach, we add more and more allies to our team. We’d love to count you among them! 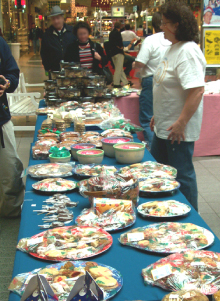 Sharing our story with your neighbors and friends will increase the effectiveness of Foundation fundraisers! Please help inform people about the serious nature of spinal cord injuries. These are life-changing injuries that impact individuals and their caregivers on a daily basis. Research organizations leading the way in spinal cord research and development receive 70% of the monies we raise. Thomas Jefferson University Hospital. Kevin presented the award at a special dinner held at The Hyatt Regency Hotel in Philadelphia. The event was attended by many dignitaries and local celebrities including Governor Ed Rendell and Phillies First Baseman Jim Thome. If you or someone you know has suffered a spinal cord injury, we may be able to provide financial assistance. 30% of the money we raise is passed on residents of Northeastern PA who have suffered spinal cord injuries or organizations dedicated to serving these individuals. Individual K-Grants are designed to help offset the costs of equipment, therapy, caregiver respite, fees and/or medical bills incurred as a result of a spinal cord injury. Once your Application is completed in full and submitted via U.S. mail, we will assign a liaison to meet with you. Then, our Board of Directors will review each Application as well as a brief report from the liaison. Grants are awarded based on our impressions of the materials you submit and your individual circumstances. Once submitted, Applications become the property of our Foundation and will not be returned. We’re looking to help individuals who can demonstrate genuine need and whose lives will be markedly improved by our contribution. Once recipients have been chosen, all decisions are final. Individuals who are not selected are welcome to submit a new Application the following year. 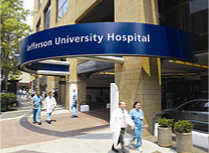 Congratulations to Jefferson University Hospitals, recently named to U.S. News & World Report's prestigious Best Hospitals Honor Roll. Out of a group of of nearly 5,000 hospitals, the organization ranked as the 17th Best Hospital in the country for 2013-14. This year’s deadline is October 1st. If you would prefer to receive your Application in the mail, call us at (570) 836-1240 to make the request. K-Grant recipients will be notified by telephone and/or mail. Grants are not paid out directly to individuals or their families, but rather to the organizations providing the products and/or services requested in the Application. Please be aware that the full names and photos of recipients will be released to the media for promotional, educational and outreach purposes. 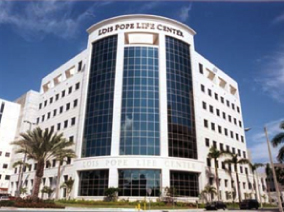 The Lois Pope LIFE Center, at the University of Miami Miller School of Medicine, is the home of The Miami Project to Cure Paralysis, the world's largest, most comprehensive research center dedicated to finding more effective treatments and, ultimately, a cure for paralysis that results from spinal cord injury. Founded in 1985 through the vision and efforts of Dr. Barth Green, an internationally recognized expert in the field of spinal cord injury, The Miami Project has assembled a broad spectrum of researchers, clinicians and therapists whose expertise all relates directly to spinal cord injury and with a full-time focus on spinal cord injury research. Together, The Miami Project’s team of scientists is accelerating the search for effective treatments for spinal cord injury.